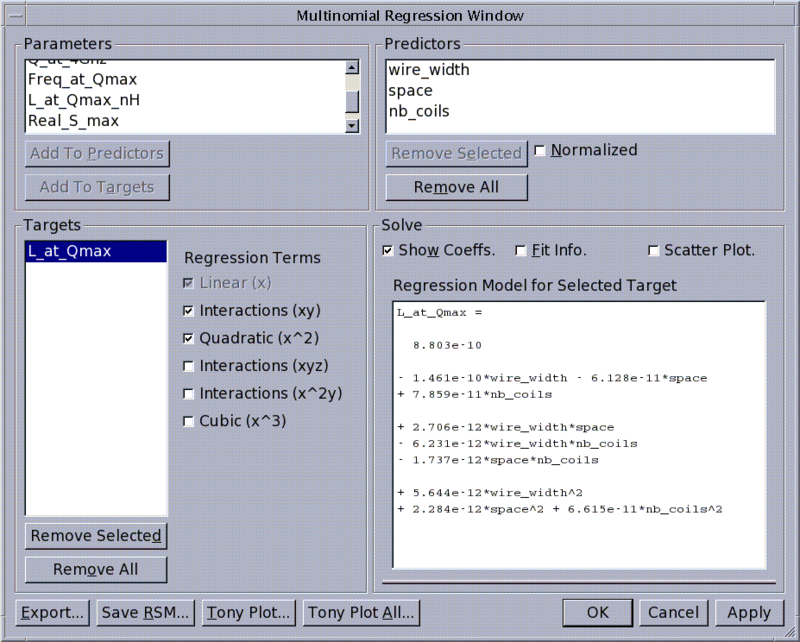 This example uses an Expert LISA script in QUEST to generate a parametrized gds layout. 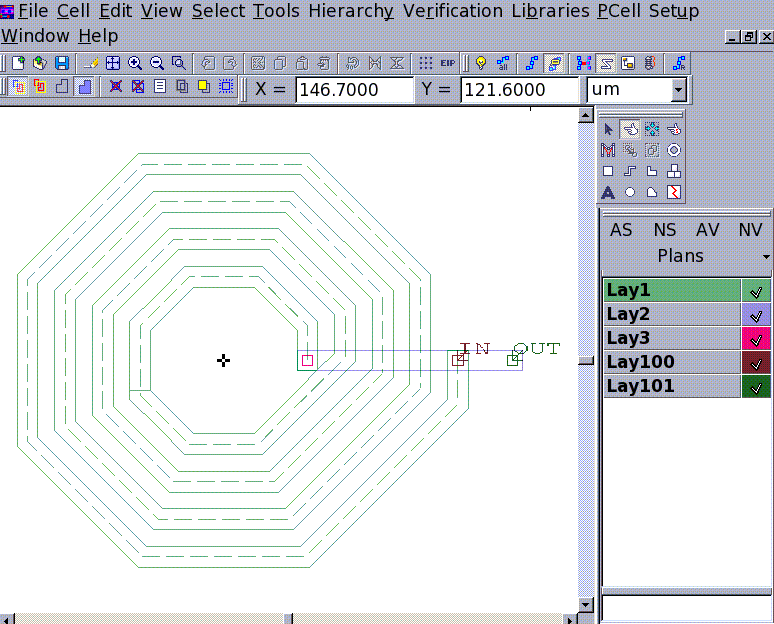 In order to build an inductance model, or simply make a variation of layout parameters, it is useful to have a parametrized gds. 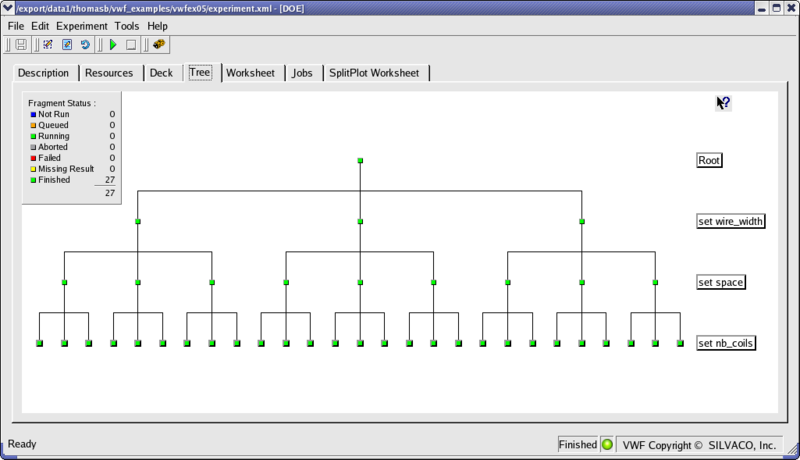 This is made possible in QUEST by using the EXPERT layout editor's script language. 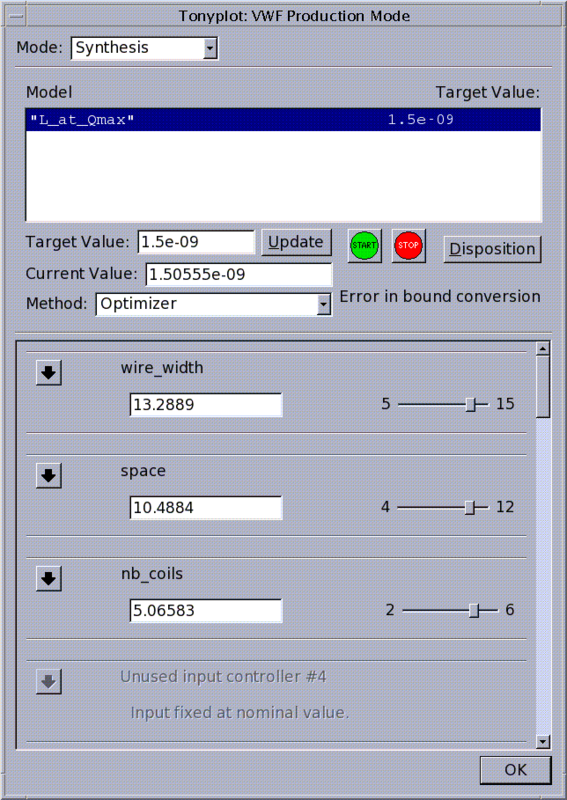 In this example, 3 layout variables are defined: number of coils, wire width, and space. Inductor performance is monitored using the extract capability DeckBuild. 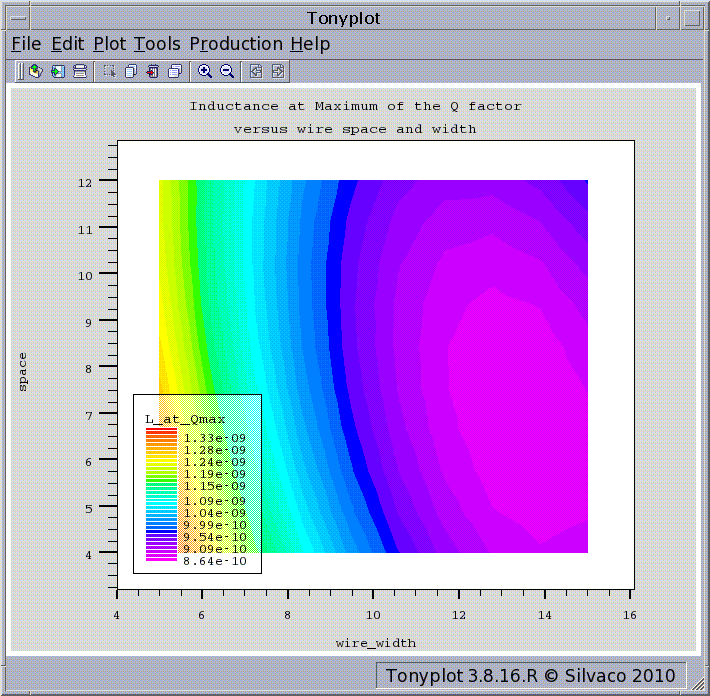 The results from the worksheet are loaded in SPAYN, and a Response Surface Model (RSM) of L as a function of the 3 layout variables is performed and used for synthesis.